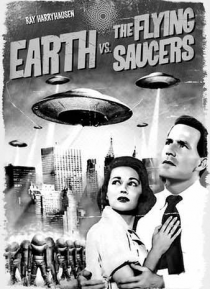 Space scientist Dr. Russell Marvin and his wife Carol are working on a secret missile project but every time their rockets are launched they are intercepted and destroyed by the more advanced technology of mysterious flying saucers hovering near the Earth. The alien race then completely surrounds the planet, giving Earth the sixty days to surrender. The enemy spacecraft appear indestructible and M… arvin sets out to find a weapon that can defeat them.